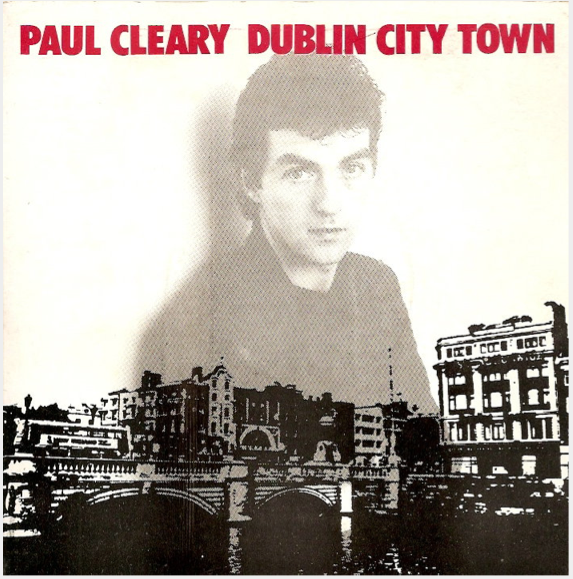 Paul Cleary – Dublin City Town (1986) | Come Here To Me! Paul Cleary – Dublin City Town (1986). 7″ single cover. The Blades are set to play together for the first time in 27 years on Friday, 13th December in the Olympia Theatre. Tickets, €26 including booking fee, go on sale next Friday 4th October at 9am via Ticketmaster. So it is as good an opportunity as any to post the lyrics and audio from lead singer Paul Cleary’s 1986 solo single ‘Dublin City Town’. It was released on ‘Raytown Records’ (I assume this was Cleary himself?) just after the break up of the band. The song deals with wealth inequality, the gombeen political class, the developers destruction of city architecture, youth unemployment, emigration and alcoholism. All with a catchy melody. to sample at no cost. here in Dublin City Town. job you’re not to blame. The b-side was a live recording of ‘Revelations of Heartbreak’ recorded in Mountjoy Prison. on December 11, 2013 at 7:59 am | Reply A conversation with Paul Cleary | Come here to me! Sam, brilliant post. I tried replying to it on Cedar Lounge but the screen kept freezing so apologies for stepping from one world to another. I’ll try and catch the bits that occurred to me in one go. Big Sound Authority; I don’t think that was on Respond. I think that they turned Weller down and that was half the fascination about them – imagine having the chutzpah to turn him down when he was at the the height of his powers. 83 and 84, I think, was when Weller was at his best; Ever Changing Moods, Long Hot Summer, You’re the best Thing; There was politics in there but it wasn’t overly preachy. By the time they did Our Favourite Shop it got a bit out of hand and even though it was straight in at number one it was humourless, dull and sanctimonious. Gave it about three or four listens, knew for sure it was crap and didn’t buy anything else they released. Found some of the other bands, Redskins etc, to suffer the same problem. I didn’t mind the politics; would’ve agreed with much of it but it was too much of a chore to listen to. The Housemartins changed that in 86. Other mod bands knocking about around then – The Times, there used to be a cassette of theirs floating around ‘This is London’ that was quite good, can’t remember if they ever put out a record. The Gents were another – one of the Raheny lads brought them over and they played the CIE club behind Clery’s. The Times were better but I mention The Gents cos I did one of their single sleeves. You’re right about the Merton Parkas – they were crap. For me it was The Jam/Style Council and The Blades. You can throw in Madness I think there as well – ‘Grey Day’. They wouldn’t be everyone’s cup of tea – their clothes certainly weren’t mine, but they knocked out a few decent tunes. I think Spandau and Wham were ex-mods. Pigbag’s tune was spot-on. Weller ripped it off (what’s new?) for Precious on the Town Called Malice single. all struck me as being about Thatcher. Anyways there the different bits I could remember. Absolutely fantastic comment. Thanks so much.